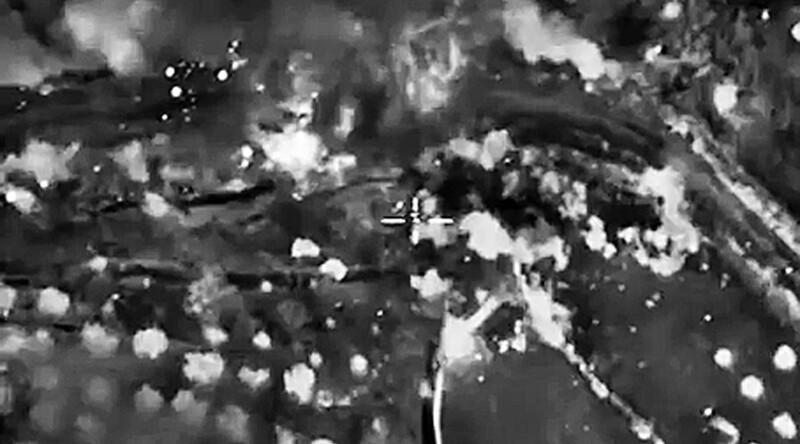 The Russian Air Force has attacked 60 Islamic State targets in Syria in the past 24 hours, destroying 19 command posts, Russia’s Defense Ministry said in a statement. “In the past 24 hours, as a result of the strikes two ammunition warehouses, a plant producing ammunition and explosives, 30 firing positions and a machinery collection have been destroyed,” the ministry’s spokesman, Igor Konashenkov, said Tuesday. The Su-24M, SU-25SM and SU-34 jets deployed for the mission have all returned to Russia’s Khmeimim airbase in Latakia, he added. The strikes hit targets associated with Islamic State and Al-Nusra in the provinces of Hama, Latakia, Damascus, Aleppo, Idlib and Deir al-Zor, Konashenkov said. According to Konashenkov, Russian airstrikes destroyed “a command post and a communicating unit, which coordinated the actions of five armed groups” in Deir al-Zor. An ISIS mini-plant for the production of explosives and unguided missiles was destroyed by the strikes near the Hatla village in Deir al-Zor. Near the village of Qastun in Idlib province, a large base housing a command post and a hidden ammunitions warehouse were targeted, he said. Nine fortified areas, located in underground facilities in Hama province, were hit by the strikes as well, he added. On Tuesday, the Defense Ministry also released a new video of a drone flying in Syrian airspace caught on camera by a Russian pilot from his cockpit. “The presence of aerial vehicles in the air space of Syria has increased,” it said in the video description. Konashenkov commented on the video in a statement, saying that the Russian air group coordinates all its flights with Syria’s unified air traffic control service. He added that Russia coordinates actions with Turkey and Israel as well. Meanwhile, on Tuesday Russia and the US signed a breakthrough agreement regulating the operations of both countries’ air forces in Syria aimed at “preventing incidents and providing for aviation flights during operations.” The agreement was hailed as a “positive step” by the Russian Defense Ministry. Russia launched airstrikes targeting IS positions in Syria on September 30 following a formal request from President Bashar Assad.